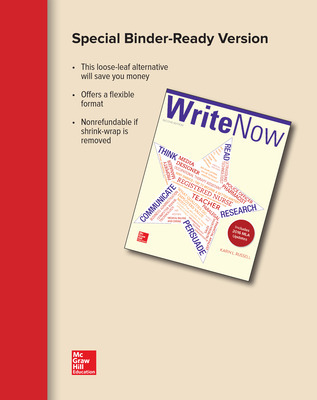 The second edition of Write Now guides students through the process of writing, revising, and editing their work. Unique to Write Now, the Rhetorical Star is used throughout the text to keep students focused on their writing situation as they draft, revise, edit, and design their work. Interpreting an Advertisement: Endless Sands. Pure Waters.